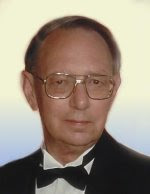 Robert L. Craig, 85, of Belleville, Ill., born Monday, July 10, 1933, near Licking, Mo., passed away Friday, January 25, 2019 at Memorial Hospital in Belleville, Ill.
Robert graduated from Lower Hepsoda School, a one-room grade school in Dent County, Mo., and from Licking High School in Licking, Mo. He served in the U.S. Army from 1953 to 1955, attaining the rank of Corporal. After earning a B.S. in Civil Engineering from the Missouri School of Mines and Metallurgy (University of Missouri-Rolla) in 1961, he worked for Standard Oil Company of Indiana (Amoco) in sales and product engineering. While working full-time at Standard Oil, Robert attended The John Marshall Law School in Chicago, graduating in 1973. From 1974 through 1983, he served as a St. Clair County, Ill. Assistant State's Attorney. He was appointed as Associate Judge by the Circuit Judges of the 20th Judicial Circuit in 1983, and served in that position until his retirement in 1997. Robert was a member of the Illinois State Bar Association, St. Clair County Bar Association, and Illinois Judges Association, and a member of Our Lady Queen of Peace Parish in Belleville, Ill.
Robert was preceded in death by his wife, Mary Kay Craig, and parents, Glen and Etta, nee Holland, Craig. Surviving are his three children, John C. (Linda) Craig of Columbia, Ill, Karen M. Craig of Millstadt, Ill., Robert M. Craig of Millstadt, Ill.; two sisters, Ruby (R.C.) Garrison of Denver, Colo., Barbara Robinson of Maryland Heights, Mo. ; grandson, Brennan M. Craig. Memorials may be made to the Land of Lincoln Legal Assistance Foundation. Visitation is 4:00 p.m. - 8:00 p.m., Friday, February 1, 2019, at Kurrus Funeral Home in Belleville, Ill.
Funeral Services will be held at 10:30 a.m. Saturday, February 2, 2019 at Kurrus Funeral Home, in Belleville, Ill., with Father Matthew Elie officiating. Interment will follow at Mount Carmel Cemetery, Belleville, Ill.